Picture a holiday setting. Your family is gathered together. Candles are glowing, smiling faces are all around. And there, by the mantel, are beautiful reminders of this special time of year. Your house might not have a built-in fireplace, but you can create that elegant effect in any home. And what about when it isn't the holidays? It's just plain freezing out or there's even an intense, insane polar vortex! Yeah, in these cases, you're going to want to create the warmest, coziest atmosphere from corner to corner. And you don't need a fireplace to do so. That sounds like music to our ears! The easiest way to create the feeling of a fireplace is to install a mantelpiece of your own; it's an inexpensive way to add more style and warmth to your living space. 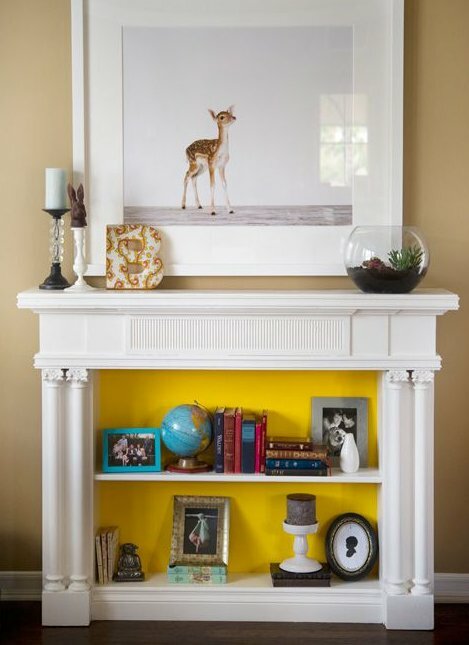 Consider the size and space you have available before adding a mantel, use painters tape to mark the height and length. Try to leave a foot of space between the top of the fireplace and the bottom of the mantel. Most mantels are attached to a backer which supports the material, when you purchase this, ask how to properly install it. These add architectural interest to any room and are available in a range of styles from modern to classic. Way beyond your basic shelves, such pieces create an instant dramatic effect, adding grace and grandeur to any room. Complete the look by adding a firescreen. These come in a variety of styles, from classic to contemporary. There are even grates that hold candles to add real fire to your “fireplace”. No space for a full mantelpiece? 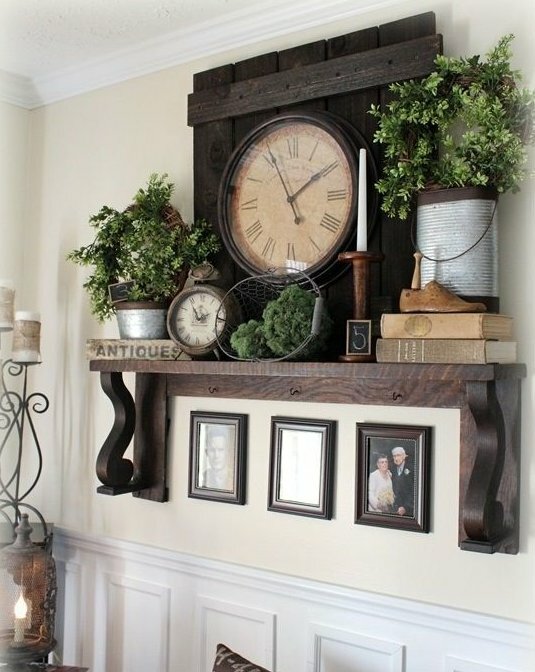 You can still capture the mood by hanging a mantel shelf. If you want, you can buy one from any home good store or you can roll up your sleeves and put on your DIY cap and build your own mantel shelf. Either way, you can't go wrong. These are decorative wall shelves that provide the essence of a fireplace without taking up floor space. Like full mantelpieces, they come in a wide variety of styles and colors to match your taste. Add home decor accessories on the mantel to really make the space your own. If you want to add more space and light to the area, go for a mantel mirror. Even without a mantel, you can bring that coziness to your home with fireplace accessories. Fill a log holder with fresh pine logs and fill your home with the air of freshness and holidays. You can also use them to hold throws, pillows or magazines. Also, capture this rustic charm by using fireplace tools as decorative accessories, either displayed on a rack or hung on the wall. As the seasons change, go ahead and change up the decor of your mantel and the living room itself! This way you can keep inspired and in style all year round. Layer many styles of framed or unframed art, choose many sized mirrors instead of just one, and whatever the holiday (Valentine's Day, Halloween, Christmas, and so on), change the decor to march the holiday.